Prior to joining the CRI, Shinina worked as a corporate and consumer rights attorney and obtained an LLM in conflict resolution. She has extensive experience mediating, facilitating and training youth and adults in diverse contexts. 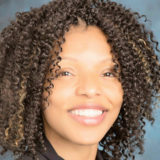 Her work includes teaching community members and school personnel how to implement restorative justice practices and instructing students in peer mediation. Additional work with the legal community has involved conflict resolution system design. Shinina received a B.A. from Brown University, J.D. from the University of Pennsylvania Law School and an LLM from the Straus Institute for Dispute Resolution – Pepperdine University School of Law. She enjoys practicing and teaching yoga, mentoring and travelling. Originally from Baltimore, she also enjoys a good crab cake!